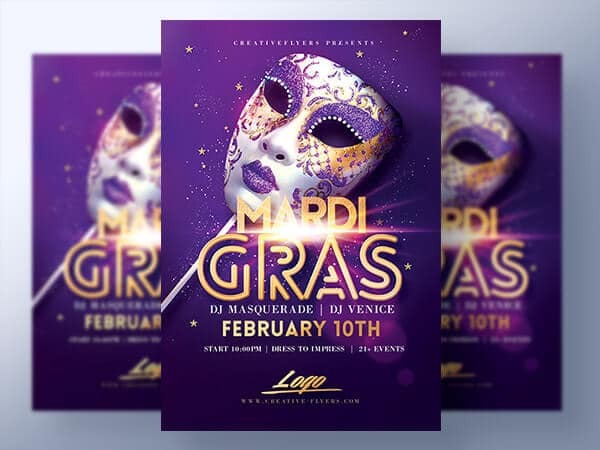 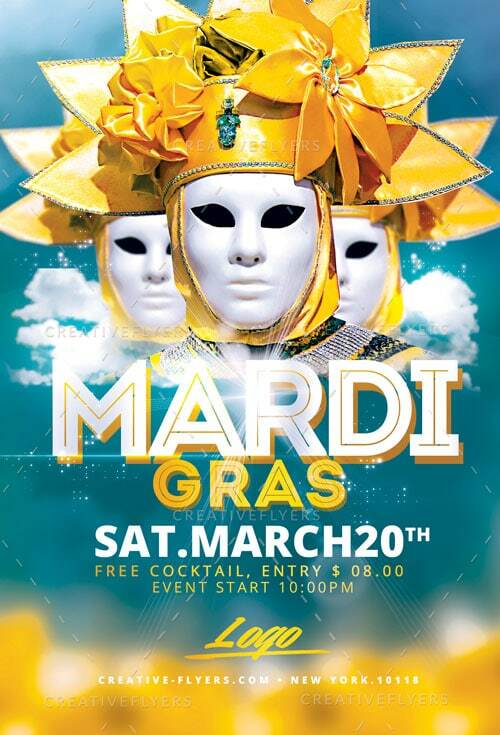 Mardi Gras Party flyer template to promote your next event ! 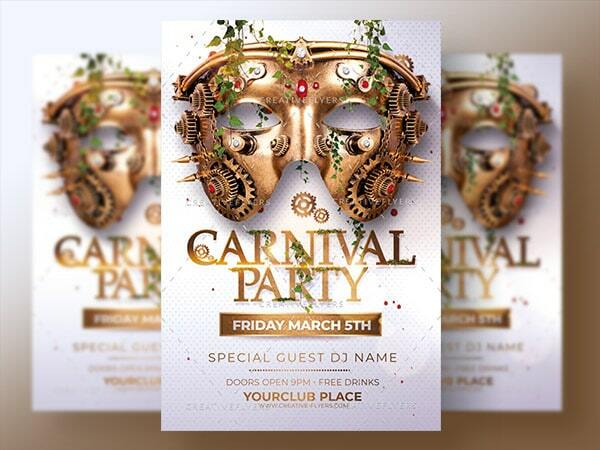 Photoshop PSD fully editable, designed by Creativeflyers. 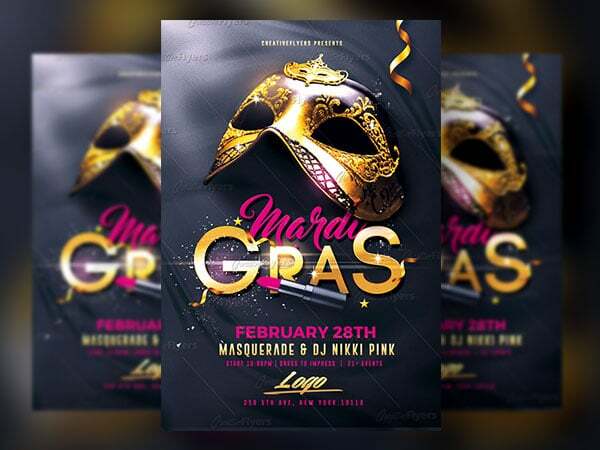 Mardi Gras Party Flyer for photoshop !